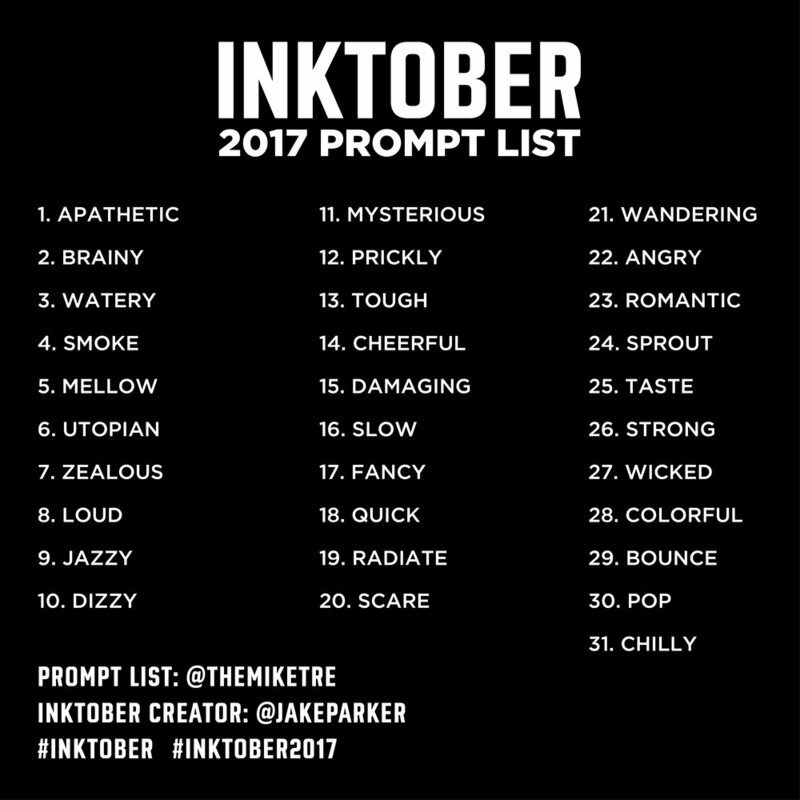 So I'm going to challenge myself and participate in Inktober this year, but I'm going to take it to a different level by creating my own prompt list. Starting today, I'll do a little ink drawing every day based on the words I chose above. Make sure you follow me on Twitter and Instagram to keep up with my progress.